Columbia Gorge Discovery Center is the official interpretive center for the Columbia River Gorge National Scenic Area. The area includes one of the oldest continuously occupied areas in North America (over 11,000 years), with immediate proximity to one of the largest rivers on the continent, and access to the Lewis and Clark and Oregon Trails. 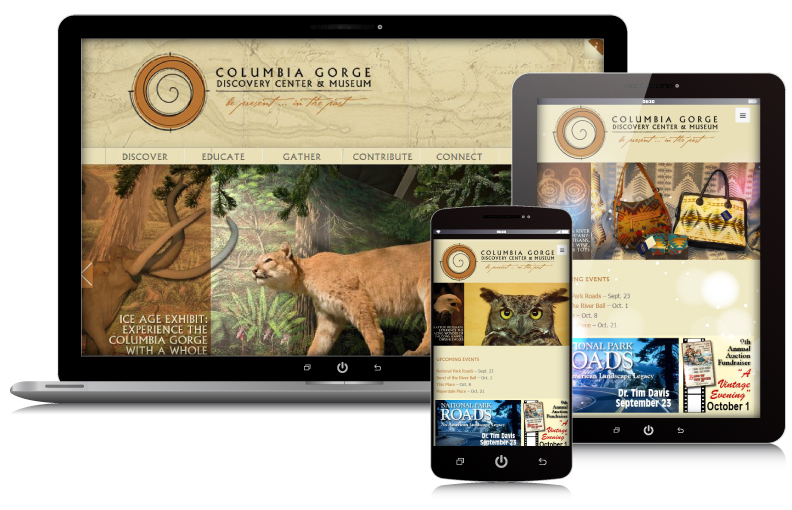 The Columbia Gorge Discovery Center re-branding project was funded by The Paul G. Allen Family Foundation. WebRock was tasked to re-envision the Center’s branding and online presence. WebRock was also asked to provide a user-friendly system to allow the public to join and support the museum.